I am working on my blog post when I got a call. It is from some bank and they are offering me personal loan. I said I don’t want it. My belief is that once I said that I don’t need any loan I won’t get any calls. But no my nightmare has just kicked in. I am sure you must also be receiving atleast one call every day for personal loan like me. Personal loans are unsecured loans and are advanced on the basis of borrower’s credit history. Repayment of loan is made by fixed instalments every month over a given period of time. If we are getting calls on regular basis it is one sign that lot of people are actually opting for personal loans. Being finance professional it is easy for me to understand the integrities of personal loan. Through this article I have to simplify that when one should take personal loan and when it should be completely avoided. For better understanding of this article just remember that interest rate for personal loans range from 10-12%, housing loan 9-10% and interest on fixed deposit 4-8%. All these rates are per annum. So you got an idea that personal loans are the expensive loans. You end up paying a lot of interest. It can actually empty your pocket. 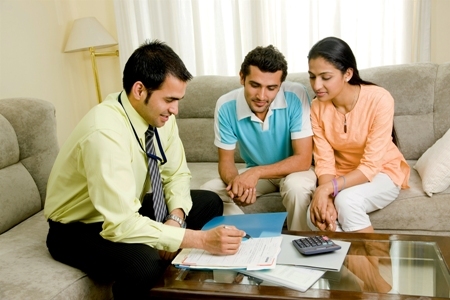 You should not opt for personal loans without doing proper research. In this article we will discuss two parts when one should opt for personal loans and when one should avoid taking personal loans. Investments – If you plan on taking personal loan for investment purposes even to buy a land or shares or any other investment opportunity, do not make that mistake. Maximum interest on any investment you can earn is 8-9% and with personal loan you end up making loss. Even for a plot or down payment it is a bad idea. You should instead wait for some time and save some money for down payment. Land will also not appreciate so much in a year to help you repay interest as well as loan. A person would invest in land only if one has extra funds. Marriage – I will request all the daughters out there to stop their parents from making this mistake. Getting you married by taking a loan is not a good idea. Your parents will end up paying load of amount in interest. At the age of retirement personal loan would prove much expensive affair for them. Electronics – These days lot of retail outlets give interest free EMI on electronics. Then why you have to take loans to buy AC, Refrigerator etc. Never take personal loans for comforting items. Your mind won’t relax until loan is repaid. Again from financial point of view it is a bad choice. Vacations – I have seen people take personal loans and go out on world tour. Once they come back they work crazily to repay loans. That is of no use. For those ten days of happiness if you are ruining your rest of the year it is not a wise decision. Financially you are actually spending more than your earnings. One should spend on adventure, trips only if you are left with extra money without worrying about cash for next six months at least. Startups – Never ever take a personal loan to invest in your business. Because normally for any business it takes minimum one year to reach its breakeven point. Family Emergency – It is an unfortunate situation but at times individuals run out of cash when you have to deposit money in hospitals. If you can borrow from some relatives or friends it is fine, if not than you can immediately apply for personal loan. It will be processed easily and you will be able to help yourself and family. Furnishings – You have used all your savings to buy a nice house for yourself. Now offcourse you have to furnish it before moving in. For furnishing your house you can take personal loan. But you should have a better repayment plan so that you repay loan back within one year or two years maximum to avoid heavy interest amount. Repayment of Loan – Just in case you have taken a loan from local mahajan at a higher interest rate of 12% or more better you take personal loan to repay his. This way you will be dealing with safe people and will also save some money. Personal loans are granted on the basis of your credit history. If you take more and more loans and things on EMI your credit history reflects that. I would suggest that keep saving your chance of personal loan to the very last. You explained the need and the relevance of the personal loan in a very distinctive manner. Yes, it is true that personal loan carry high interest rates which results in higher EMI. Therefore, its need must be evaluated very stringently before applying for it. Thank for sharing the post!